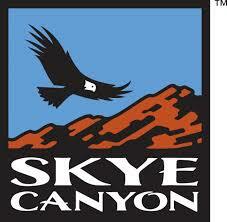 Homes for Sale in Skye Canyon. Halfway between the bright lights of the Las Vegas Strip and the tall timbers of Mt. Charleston lies a new kind of playground. The next generation master planned community dedicated to vitality, relaxation, adventure, balance, and beauty. A place with a host of amenities, including an activity and fitness center, neighborhood parks, dedicated trails, open space, and so much more. For Real Estate contact Tracy Drown at 702-245-9341. THIS BRAND NEW FORMER MODEL HOME WITH 4 BEDROOMS PLUS DEN IS STUNNING.BEAUTIFULLY DESIGNED BY OUR PROFESSIONAL DESIGN STUDIO, COMPLETE HOME. VERY OPEN FLOOR PLAN.SO MANY UPGRADES. POOL AND SPA. LOCATED IN THE NEWEST MASTER PLAN IN LAS VEGAS, SKYE CANYON. COMMUNITY FACILITIES INCLUDE BASKETBALL, CLUBHOUSE, EXERCISE ROOM, PLAY GROUND, POOL AND ROAMING SECURITY. THIS IS A MUST SEE. This Skye Canyon stunner is fully loaded from top to bottom - so pack up and get ready to move!! This open floor plan has a highly upgraded kitchen, bedroom and full bath downstairs, 3 bedrooms with loft upstairs, and a master bathroom you'll never want to leave. The entry courtyard boasts a beautiful fireplace with a HUGE backyard for the whole family! Skye Canyon's community facilities are just a short walk from home! NO SID/LID!! This new Pardee 4 bedroom home is beautiful. The stunning kitchen includes shaker white cabinets w/ quartz countertop, huge island, chefs delight home network. The home also includes prewire for Home theatre. Much desired floor plan! Upgraded flooring to be incl in sales price. Must see! THIS BRAND NEW 4 BEDROOM HOME PLUS GAME ROOM IS STUNNING.BEAUTIFULLY DESIGNED BY OUR PROFESSIONAL DESIGN STUDIO, COMPLETE HOME. VERY OPEN FLOOR PLAN. FLOORING ORDERED AND WILL BE INSTALLED AND PRICING WILL BE ADJUSTED ACCORDINGLY. ALL OPTIONS PRE SELECTED. LOCATED IN THE NEWEST MASTER PLAN IN LAS VEGAS, SKYE CANYON. COMMUNITY FACILITIES INCLUDE BASKETBALL, CLUBHOUSE, EXERCISE ROOM, PLAY GROUND, POOL AND ROAMING SECURITY. THIS IS A MUST SEE. Gorgeous 5 bedroom home located in Skye Canyon! Home features an open floor plan w/upgraded wood flooring. Huge family room w/vaulted ceilings & large sliders. Spacious pavered patio, outdoor fireplace & finished backyard. Stunning kitchen w/white cabinets, huge island & upgraded stainless appliances. 2 bedrooms downstairs. Huge loft upstairs. Large master & 2 bedrooms upstairs. Shutters throughout! NO SID/LID. Community has parks, gym, & pools! Gorgeous Home Located on a Premium Lot at the End of a Cul De Sac. Features an Open Floor Plan, Guest Suite and Bathroom Downstairs, Huge Gourmet Kitchen, Stainless Steel Appliances, Large Island, Walk In Pantry, Extended Loft and Game Room Upstairs with Covered Balcony. Backyard Features Covered Patio with Pavers. 3 Car Tandem Garage. Must See, Too Many Upgrades To List! *MOVE-IN READY PULTE HOME WITH POOL! * SHOWS LIKE A MODEL HOME! GATED SKYE CANYON COMMUNITY! SPACIOUS CHEFS KITCHEN W/GRANITE COUNTERS, STAINLESS STEEL APPLIANCES, SEPARATE DINING AREA, WALK-IN PANTRY, BEDROOM & FULL BATH DOWN, WALL UNIT & WOOD FLOORS ACCENT THE LARGE DOWNSTAIRS FAMILY ROOM. BONUS ROOM OFF KITCHEN, CUSTOM LIGHT FIXTURES, ENTRY W/BUILT IN BENCH. BRICK PATIO & SITTING AREA OVERLOOK POOL W/LIGHT & WATER FEATURES. LARGE LOFT UPSTAIRS! BRAND NEW PULTE HOME! Stunning 2,576 sq. ft. single story with 40 ft. back yard in Skye Canyon. This home is a dream with custom white cabinets, quartz countertops, large luxury kitchen island, premium stainless steel appliances, an open corner sliding window wall, porcelain wood like tile, 8ft. interior doors, 7in. baseboards, an upgraded master shower, walk in closets throughout with an extended HUGE master closet, & much more! Welcome Home!